When it rains drama, it pours these days as PBS and BBC have announced an epic new adaptation of the 19th Century Victor Hugo classic, Les Miserables with an all-star cast headed by Dominic West (The Affair, The Hour) and David Oyelowo (Spooks, Selma, A United Kingdom) in the iconic roles of Jean Valjean and Javert, the police inspector who dedicated his life to imprisoning Valjean following his release from Toulon prison after 19 years. They will be joined by Lily Collins (Rules Don’t Apply, Love, Rosie, Tolkien) in the role of Fantine. Award-winning screenwriter Andrew Davies (House of Cards, War & Peace, Bleak House, Mr. Selfridge, Little Dorrit) will go back to the original novel and delve deep into the many layers of Hugo’s story, digging deep into Jean Valjean and Javert’s cat-and-mouse relationship, set against the epic backdrop of France at a time of great civil unrest. 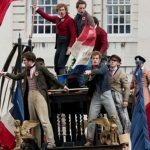 Long considered to be one of the greatest novels of all-time, Les Mis has seen numerous adaptations on stage, television, film, a musical and film adaptation of that musical. 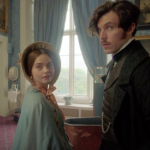 Even with so many versions over the years, the cast was understandably excited about the prospect of an Andrew Davies adaptation. “Jean Valjean is one of the great characters in world literature. 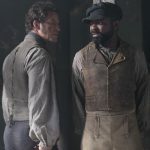 His epic journey of redemption is one of the extraordinary roles an actor can take on, and I can’t wait to get stuck in to bringing Andrew’s brilliant adaptation to the screen,” said Dominic West. 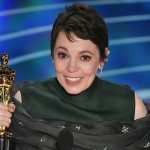 Rounding out the cast will be Adeel Akhtar (The Night Manager, Murdered By My Father, Utopia) and Olivia Colman (The Night Manager, Broadchurch, Murder on the Orient Express) as Monsieur and Madame Thénardier, Ellie Bamber (Nocturnal Animals, Pride And Prejudice And Zombies) as Cosette, Josh O’Connor (The Durrells, God’s Own Country, Ripper Street) as Marius and Erin Kellyman (Raised by Wolves, Uncle) as Éponine. 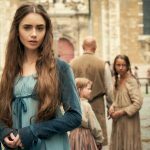 Filming on Les Misérables will begin next month in Belgium and Northern France.